Sandy Point State Park will again be the host site for the 46th annual Maryland Seafood Festival on September 7th and 8th, a tasty and entertaining tradition, with regional music favorites, great food, exhibits and arts as well as the popular Capital’s 24th Crab Soup Cook-off and the Department of Natural Resources’ Maryland Fishing Challenge featuring the Diamond Jim Award Ceremony. This family fun and feasting event is expected to draw 20,000+ visitors from across the mid-Atlantic region ready to enjoy a relaxing and entertaining Day by the Bay. 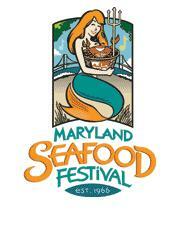 The Maryland Seafood Festival is a ritual in the State and has been held annually for 46 years, with the most recent 30 years being held the weekend after Labor Day at Sandy Point State Park. That tradition has been built around a safe, family friendly environment showcasing the great seafood that Maryland has to offer while bringing people from all over the East Coast to wrap up the summer season. The “foodie treasures from the bay” will include crab and oysters as well as other seafood and landlubber delicacies; all sold by professionals, non-profits and new food vendors. The popular Beer Tasting Tent will feature craft and imported beers and shucked oysters, and the Wine Row is a new requested addition. New for 2013, the festival backdrop, the Chesapeake Bay, will highlight the Maryland Watermen’s demonstrations to include Chesapeake Crab Skiff races and other bay watercraft activities. On the beach, the Crab Derby will be enjoyed by young and old as well and the athleticism from the Extreme Volleyball Professionals (EVP) exhibitions that will entertain the crowd. Back again is the exciting King BMX Stunt show and live musical performances by the Reagan Years, Chesapeake Steel Drum Band and the popular Kelly Bell Band along with other regional favorites. The interactive exhibits, creative craft booths and the popular chef food demonstrations will all ensure a good time. Enjoy the Maryland Seafood Festival and support the Chesapeake Bay Trust and other non-profits by attending a weekend of traditionally held activities and foods along with some new soon-to-be favorites this year! See you there! For more information or tickets, please visit their website!